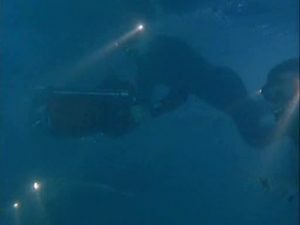 A couple investigates underwater about a sunken treasure…..a high tech device that shouldn’t be in the wrong hands! 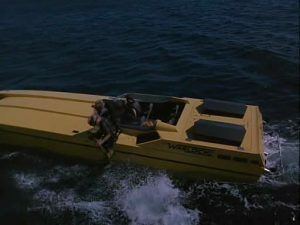 Of course the bad boys send some divers to take care of them…. Let me help you with your air hose! A bit dark and murky (as most of the time) but a good scuba fight!